Summer is finally here and it’s promising to be a vitamin boost! From an orange pressé at breakfast to a banana smoothie at lunchtime and — why not — a piña colada at sundown, it’s all about eating the freshest, the juiciest and the zestiest fruit to help us keep the doctor away. But did you know that these vitamin-rich foods can also be turned into sustainable fabrics and help solve the global agricultural waste problem? Oranges are Italy’s major export produce, generating an estimated 700,000 tons of citrus waste per year. 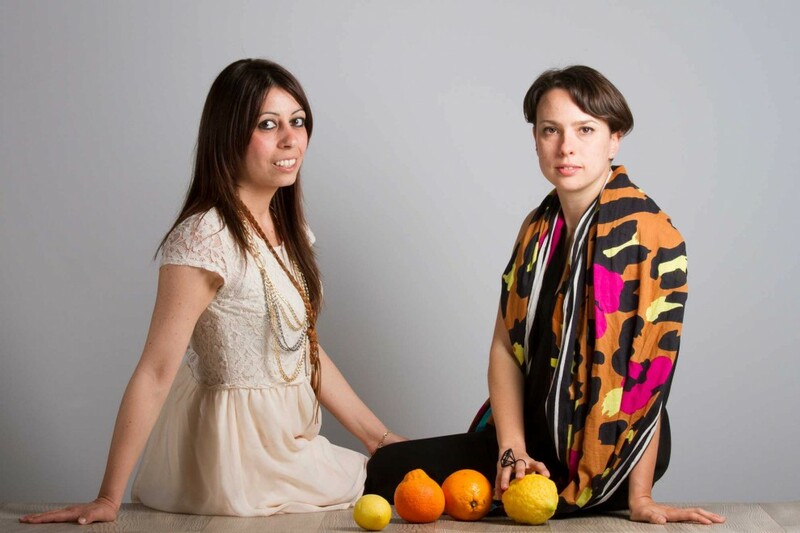 Established by two women entrepreneurs, Orange Fiber seeks to transform discarded orange peel into sustainable vitamin-enriched fabric, whilst sustaining Italy’s long-standing tradition in high-quality textiles and fashion. Orange Fiber co-founders Adriana Santanocito and Enrica Arena. Derived from the cast-off stems and leaves of the banana tree, the inner, silky layer of the banana fiber is ideal for delicate dresses, wraps and blouses. In Japan, banana stems have been used to obtain kimono-grade silk since at least the 13th century. 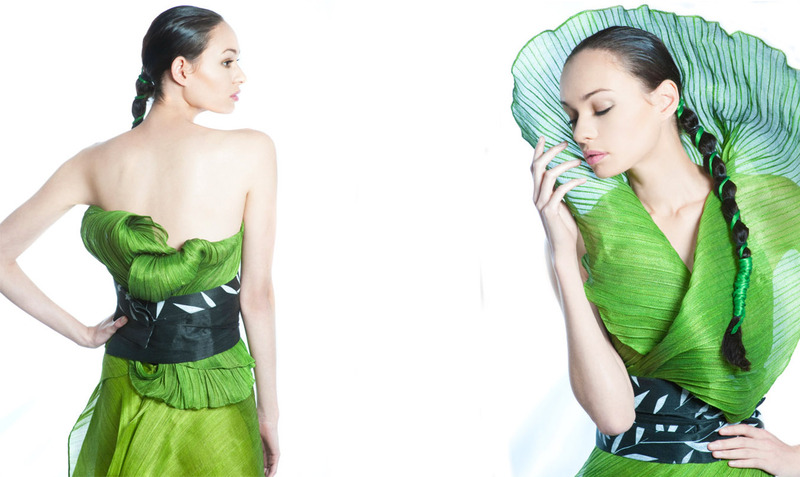 Today, Filipino designer Ditta Sandico Ong transforms banana and other natural plant fibers into a fashion art form. Filipino designer Ditta Sandico Ong makes fashion out of banana and other natural fibers. Pineapple silk is considered the queen of Philippine fabrics and is considered the fabric of choice of the Philippine elite. But now pineapple has emerged as a sustainable alternative to leather. Carmen Hijosa, who had worked as a consultant in the Philippines leather goods industry, developed Piñatex, produced from the fibers of pineapple leaves which are a by-product of the pineapple harvest. Piñatex range developed by Carmen Hijosa’s company Ananas Anam. So next time you need some zest in your wardrobe, why not try these vitamin-rich, sustainable materials? Seriously, they are almost good enough to eat! And they help us to Think.Eat.Save.